Thread: Forgiveness is a Gift.. 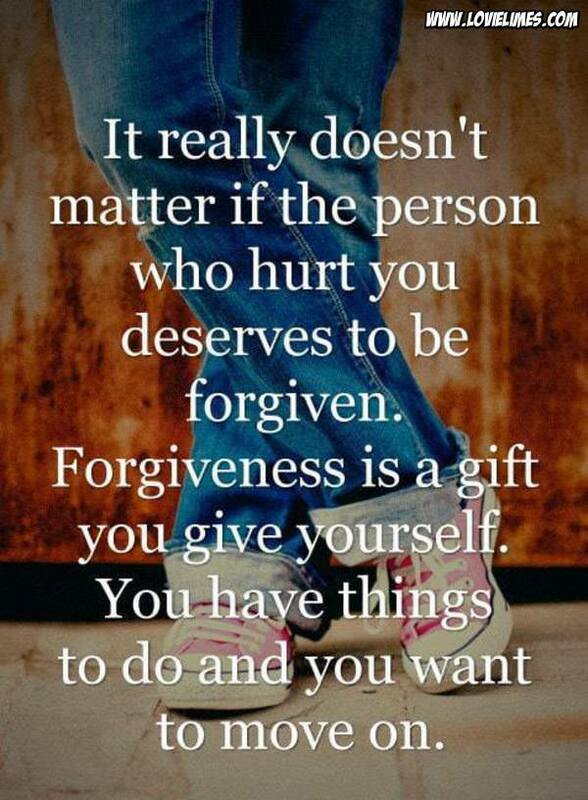 It really doesn’t matter if the person who hurt you deserves to be forgiven. Forgiveness is a gift you give yourself. You have things to do and you want to move on.